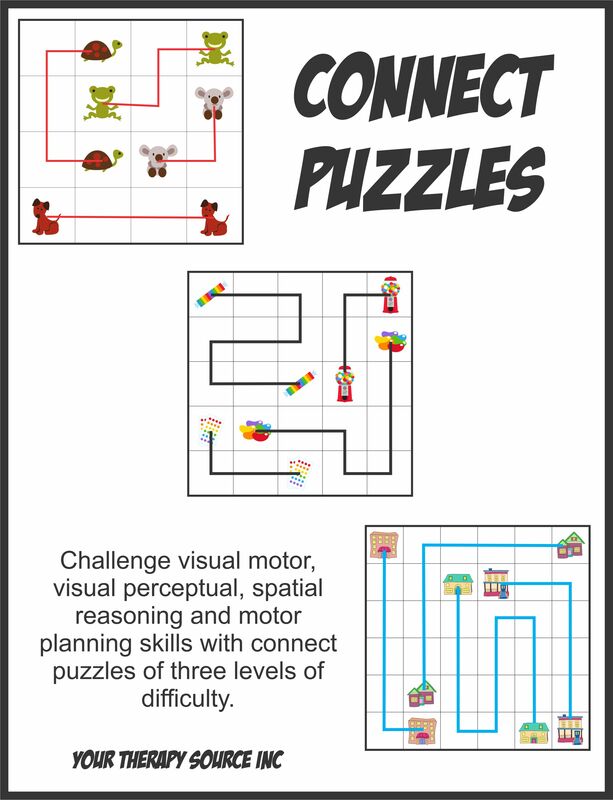 Summary: Download of 50 visual motor, visual spatial and motor planning puzzles. Print the puzzles and put in a CD case to use a wipe off board. Summary: This download is a set of 50 puzzles that challenge visual motor, visual spatial and motor planning skills. Connect the matching pairs by using only vertical and horizontal lines, crossing through every box only once. There are 20 easy puzzles (4×4 grids), 20 medium puzzles (5×5 grids) and 10 hard puzzles (6×6 grids). 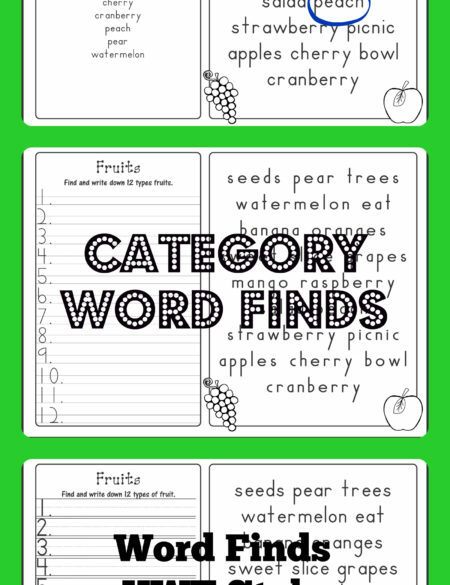 Print the activities and cut them out (2 to a page). Stack them up and place them inside a clear CD case. Use a wipe off marker right on the CD case to complete the activities. 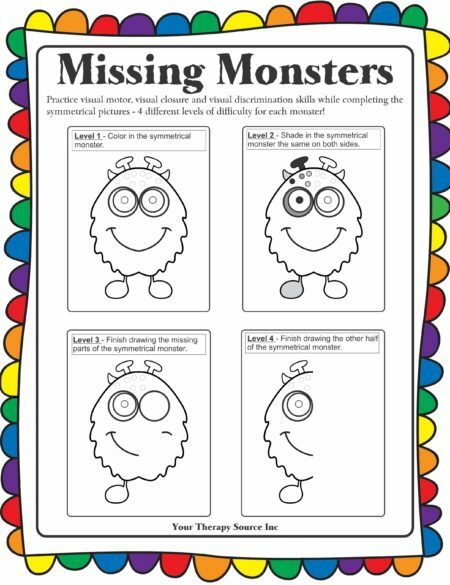 Wipe off with a paper towel, open the CD case, pick a new activity and complete the puzzle with a wipe off marker again. The CD case keeps the activities organized – great for in class work or on the go. The activities are in full color. You can print in color or black and white by adjusting your printer settings. 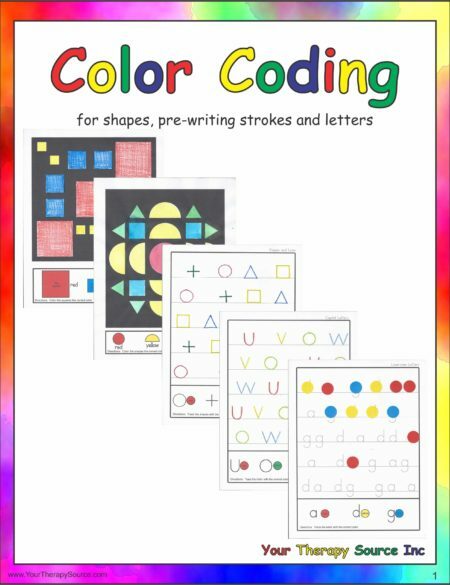 Promote visual motor skills in children ages 5 years old and up. 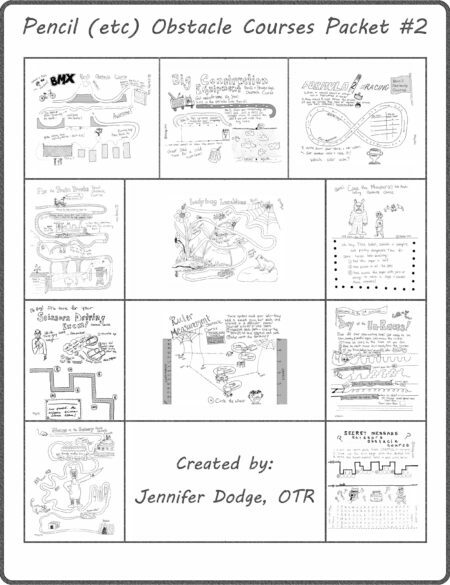 This workbook can be printed for your own use as many times as necessary for the children that you work with. Free sample of Connect Puzzles. To purchase the download of Connect Puzzles with credit card click on the ADD TO CART button. Following payment you will receive an email with a link to download the book.